Tatiana Santo Domingo was born in New York, USA, to a Colombian father Julio and a Brazilian mother Vera, on November 24, 1983. She was raised in Geneva, Switzerland, and Paris, France. Attending schools throughout Switzerland and France, she later obtained a Bachelor of Fine Arts from American University in London. She has interned for Vanity Fair in the US and Aeffe Group which is the fashion label of Alberta Ferretti. She also launched Muzungu Sisters with Dana Alikhani in 2011. It is a business which supports local artists, buying handmade goods, which in turn are sold to the public. 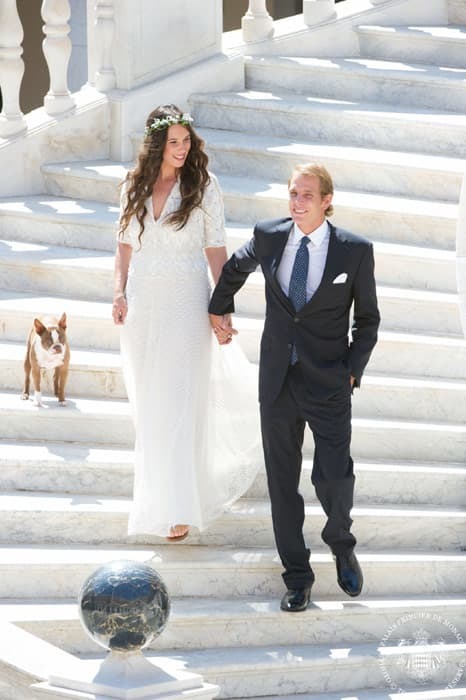 Two years after renouncing her US citizenship, her engagement to Andrea Casiraghi was announced. She gave birth to their first child, a son, Sasha, before their wedding in March 2013. They wed a few months later on August 31, 2013, in the Princely Palace in Monaco. They have a son child, a daughter, India born in 2015. They are expecting their third child due sometime in 2018.